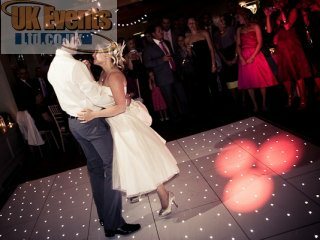 Welcome to Starlit Dance Floor Hire. 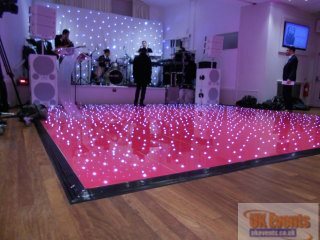 Our LED starlit floor range is by far the most popular dance floor hired from our range of 11 dance floors. 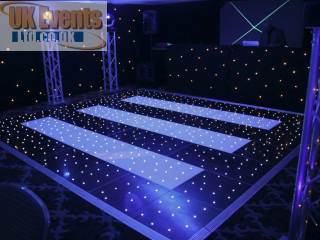 We are proud to be offering the starlit range in a white, black and pink finish. 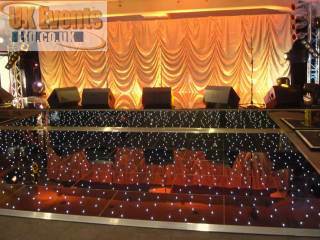 All of our floors are well maintained, cleaned prior to every event and professionally installed by our fully trained installation teams. 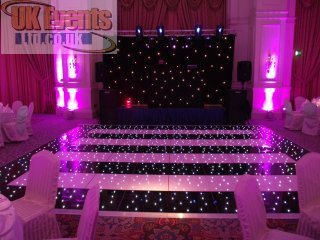 We can help you to determine the correct floor size for your event as well as helping you with other complimenting additional products to help you enhance your event. 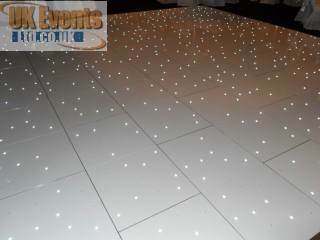 The LED starlit range of flooring can make up any size floor you required as long as the dimensions are divisible by two. 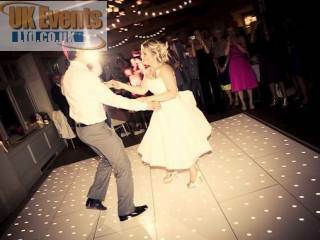 We can lay these on to most surfaces based that they are flat and indoors. We offer an underlay service in order to protect delicate floors - please enquire about this if you require floor protection. 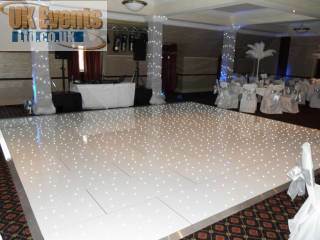 Our floors sit just 3cm from the ground, all of the LED lights are flush with the surface of the floor and we use a sloped edging to ensure the floor is safe. Mix and Match your floor by mixing the white, black and pink panels to create your desire effect.